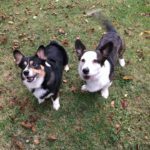 Lillian, Dierks and Sadie Bell: Still Growing Up CORGI! 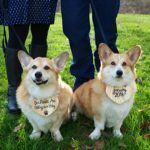 Do you remember Dierks and Sadie Bell from their last post in October? 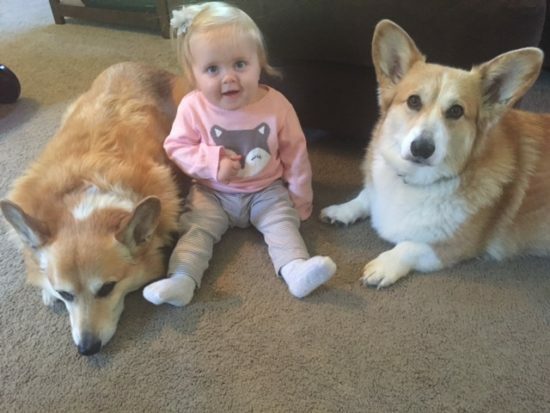 It was the second in a series of posts on their life with new little human sister Lillian. Easy to see why. I suspect Lillian has a rapidly growing fan cub. Just look at that sweet mug! 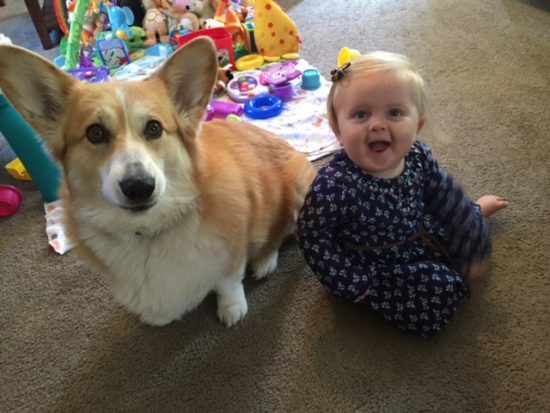 The Corgis were especially excited the morning of Oct 11, when their baby turned 9 months and discovered the whole crawling thing. 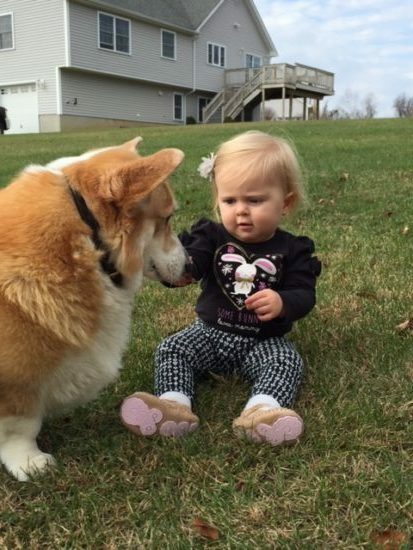 Wasn’t long before she was chasing Dierks and Sadie Bell. She’s now crawling all over the place and following them everywhere! 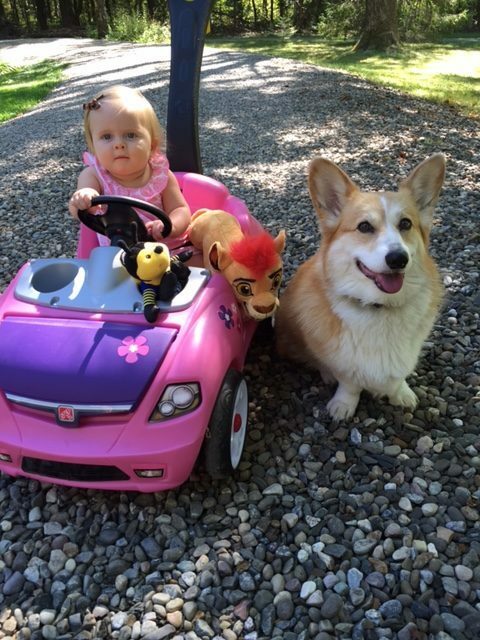 Lillian has her own little pink car she enjoys riding around outside. 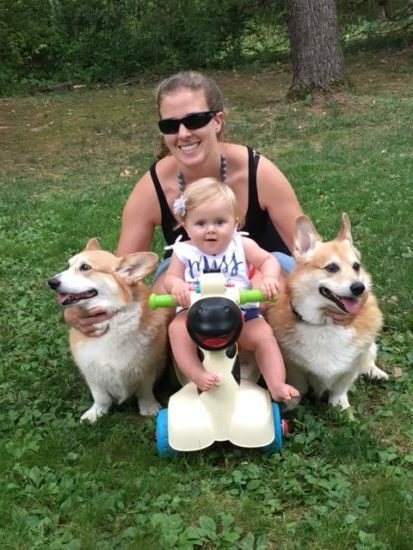 The Corgis make sure they are always on either side of the car, baby watching. One or the other always has eyes on her, making sure everything’s ok. A kid that young needs supervising, right? 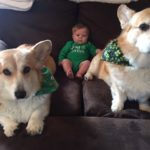 And Corgis are natural snoopervisors, er, supervisors. See you next time, kiddos. Can hardly wait to see the holiday pics! 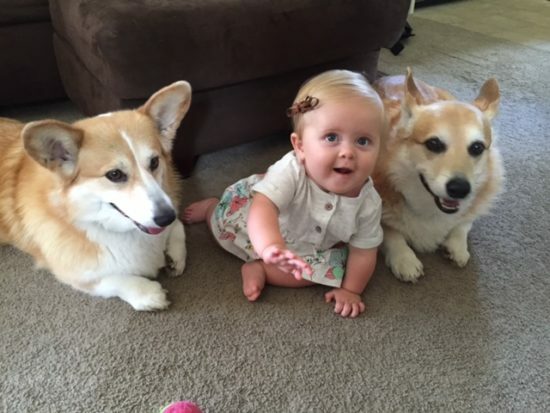 The Kids Are All Right: Dierks, Sadie Bell & Lillian! 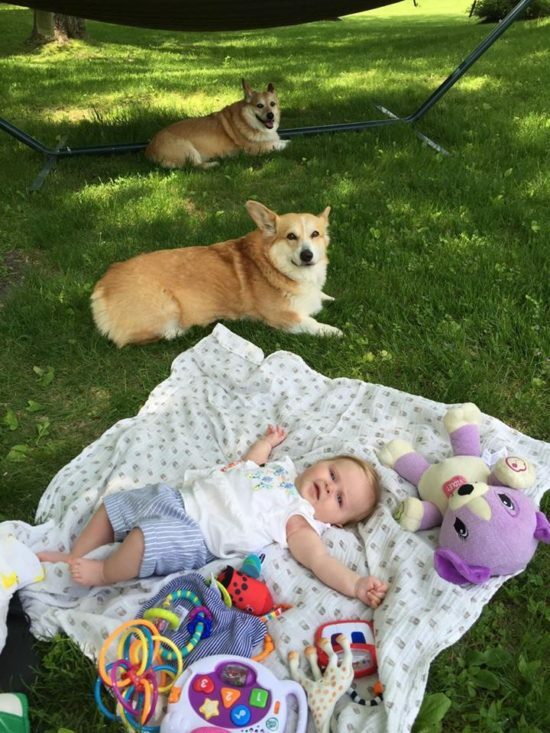 Dierks + Sadie Bells + Baby Makes Three! 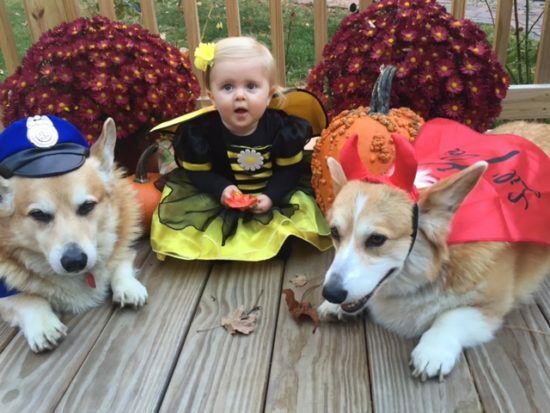 Friday Faces: 16 Sweet Corgi Kids! 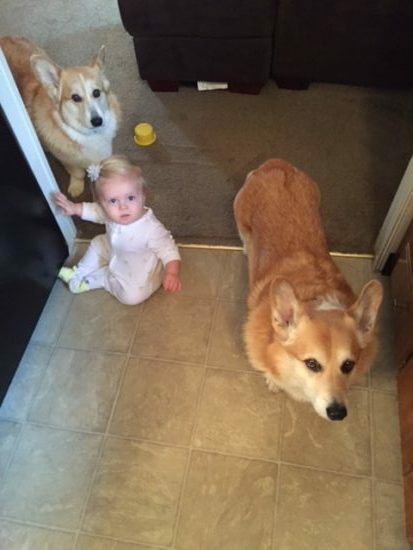 How wonderful that Dierks and Sadie are so protective of little Lillian. 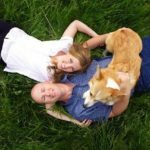 Lovely photos.